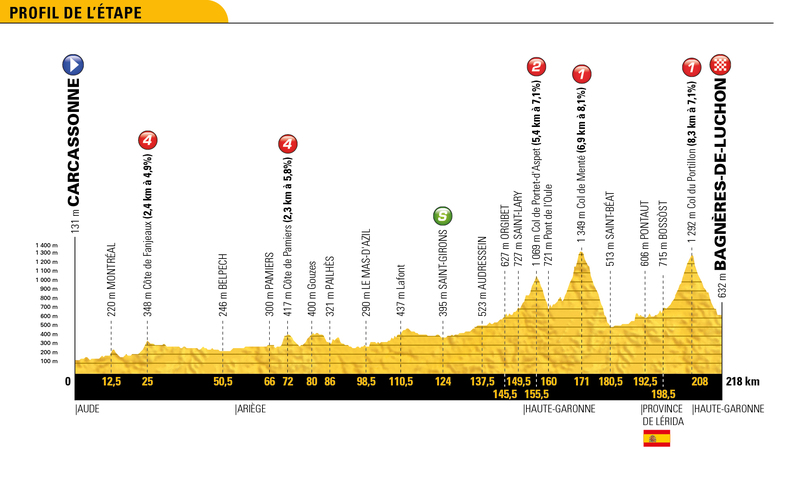 The almost annual visit to Pau appears on Stage 18 this year, serving as the finish line to a 171km run from Trie-Sur-Baïse, potentially offering the remaining sprinters a penultimate opportunity of victory before the peloton arrives at the Champs Élysées on Sunday. There is little in the way of climbing, especially after yesterday’s monumental stage, with fatigue a key factor which could benefit the breakaway in their hopes of striking gold by the end of the day. With a technical conclusion once again for the sprinters, those who have anything left resembling a leadout train will be at a definite advantage compared to their rivals. Alexander Kristoff shall certainly fancy his chances of winning today after rival Peter Sagan fell heavily during yesterday’s stage and is now likely to be focused on simply making it to Paris in good shape. The Norwegian’s team has worked hard for teammate Dan Martin, though should still be able to offer him a degree of protection and assistance during Stage 18, keeping him fresh for the finish in Pau. John Degenkolb found great form earlier in the race during his triumph upon the cobblestones and will now be confident of picking up a late win at Le Tour as the attritional nature of the race sees him rise to the top of the favourites. As one of the only riders still in possession of a convincing leadout train, Trek-Segafredo will prove an immense asset during the technical finale, likely to be the deciding factor in Degenkolb’s ambitions to double on victory in the final week. Magnus Cort has history of picking up stage wins late in a grand tour, looks fresh and is certainly one of the fastest remaining in the peloton. 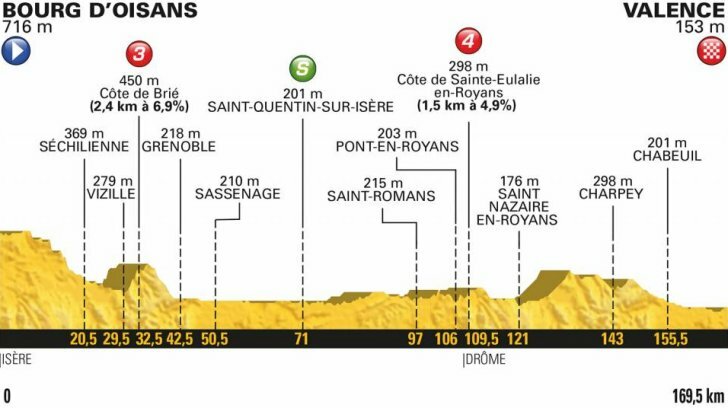 However, the finale is not ideal and his team are unlikely to offer much which can rival the likes of Groupama-FDJ or Trek-Segafredo in terms of a leadout. Instead, Cort could find success in a late breakaway move on the final climb of the day, knowing that those likely to join him will struggle to better him in a sprint. Arnaud Démare should really have several wins under his belt at this year’s Tour de France, yet has continually made costly errors in the final moments of stages, leaving himself and the team without any glory at their native grand tour. Despite being the fastest sprinter present, and supported by a team which exists only to help him win, the feeling is that Démare will struggle once again to make his presence felt when it matters most. He has suffered in the mountains quite noticeably and is surely now past his best at this race. As if the rigours of yesterday’s stage were not already enough to make the riders jelly legged, Stage 12 sends the peloton over an assortment of brutal climbs, including Col de la Madeleine, Col de la Croix de Fer and culminating atop the legendary Alpe d’Huez.With friction already apparent amongst the general classification contenders, those with eyes upon the yellow jersey will need to begin their foray into action to stand a chance of glory. 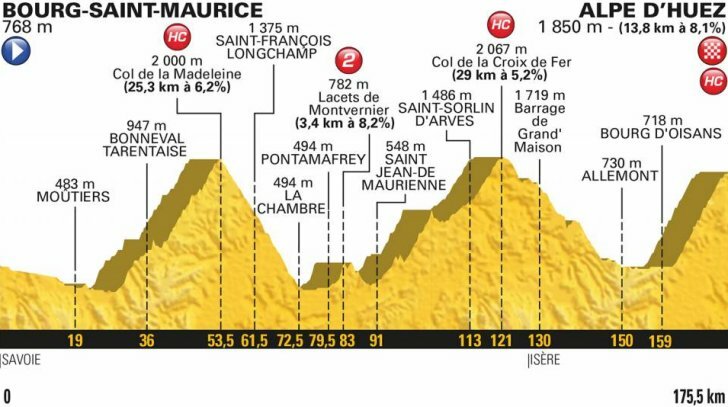 Totalling 175.km from Bourg-Saint-Maurice to Alpe d’Huez, the grupetto will be hoping for an easier life than yesterday, one which saw the likes of Marcel Kittel and Mark Cavendish miss the time cut. Chris Froome finds himself in a strong position ahead of a decisive stage finish atop Alpe d’Huez, teammate Geraint Thomas currently in yellow and allowing Froome to sit on the wheel of his rivals as the responsibility falls to them in order to ignite the battle. With a great record upon the final climb itself, Froome knows he shall be able to make an impact upon the general classification if the chance appears. Romain Bardet hesitated yesterday and thus saw Chris Froome vanish up the road ahead of him, particularly frustrating given the condition he is currently in. 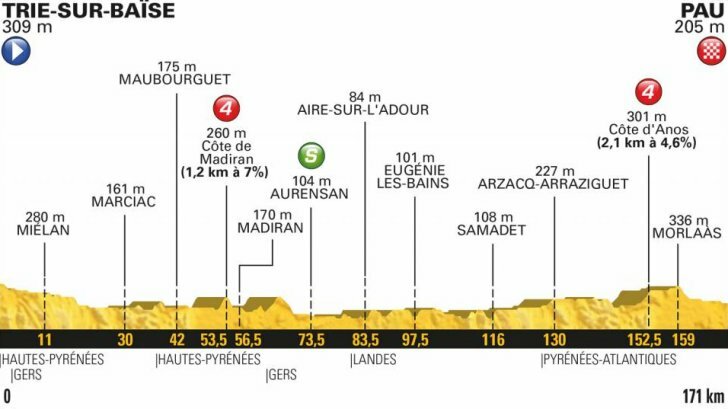 Though the finale does not suit him perfectly, as an overall stage, Bardet should find several chances to turn the screw upon his rivals and see if any cracks appear. Nairo Quintana is another who possesses an encouraging record upon Alpe d’Huez, though has never quite been able to muster the ability to go all the way and take victory. If interested in kicking off his campaign upon the yellow jersey, then the feeling is that today is a good stage to do so. Pierre Rolland is ever interested in taking the scalps of the biggest climbs of his native grand tour and is the man most likely to win Stage 12 ahead of the general classification riders. The Frenchman appears to be enjoying better form these days and will know that seeing such strength go to waste would be a travesty. 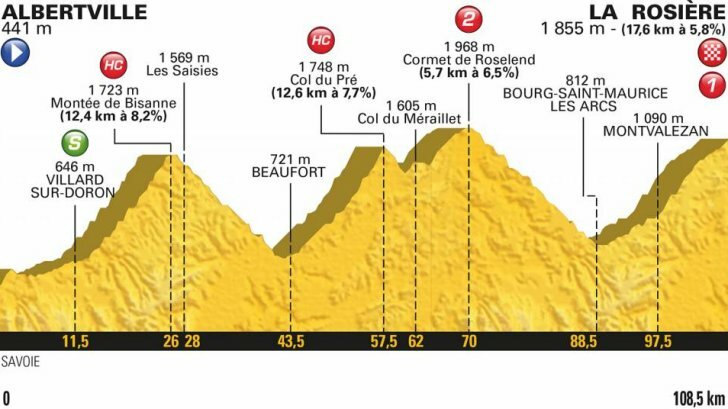 A short but intense 108.5km trek from Albertville to La Rosière offers little in the shape of flat roads, with the riders poised to tackle four categorised climbs during the day. A double-header of HC ascents in Montée de Bisanne and Col du Pré comprise the first half of Stage 11, where plenty of riders shall soon discover if they have the legs for victory or the broom-wagon. 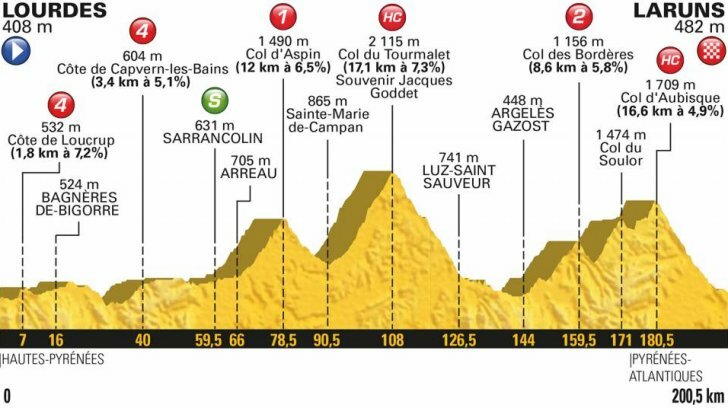 The final rise to the finish is 17.6km with an average of 5.8% and could provide us with the first genuine skirmish amongst the yellow jersey contenders. Pierre Rolland is no stranger to the pursuit of the polka dot jersey and is likely to view Stage 11 as a springboard to a genuine campaign upon the mountains classification. With no real danger to the general classification, the Frenchman is bound to be given the freedom to join any move he can and has a sharp enough finish see the day out with a victory too. Warren Barguil shall be testing the water on Stage 11, seeing who else is likely to begin challenging him for the polka dot jersey, at least learning who best to keep an eye upon during these days in the mountains. The lithe climber has made it clear his ambition is to leave this three week grand tour with the maillot à pois rouges upon his shoulders, thus his presence will surely be felt en route to La Rosière. Romain Bardet has not had the best of luck during the opening week of racing, yet has demonstrated immense strength to overcome each hurdle convincingly, now appearing to be champing at the bit for these tough mountainous stages. With an uphill finish to La Rosière on offer, he may not win the stage, but will be a key instigator of any activity amongst the general classification favourites. Dan Martin perhaps fancies his chances too on Stage 11, knowing that it is now or never to cash in on his blistering form which has already delivered him a stage win at this year’s race. 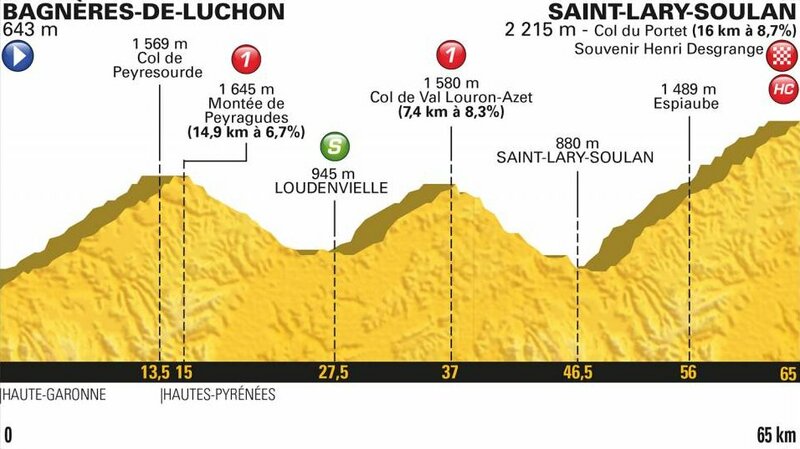 Additionally, due to his earlier time losses, the Irishman is unlikely to be hounded down by the yellow jersey favourites and could instead find the space to attack upon the rise to La Rosière. Other than Alejandro Valverde or perhaps Rigoberto Uran, few can match Martin in a sprint for the line after such a gruelling day in the saddle.